Big kings in May or 20-pound plus silvers in September – take your pick. Add outstanding halibut, rockfish, and lingcod either time, plus AU’s early/late season discounts and you’ve got a winner! Sitka has the best saltwater salmon fishing in the world! No where has better catch rates, giving you the best opportunity to catch multiple kings. We have openings available during every month of our season – pick your ideal dates today! Salmon, halibut, and rockfish are found in close proximity in very strong numbers – providing excellent fishing for multiple species in the SAME day! The excitement of sport fishing combined with the best of gourmet seafood preparation. Ludger Szmania returns in 2019 to once again display his dazzling cooking skills and multi-course fish dinners. On four successive days, the great chef from Szmania’s Restaurant in Seattle will prepare appetizers and main courses from the fish caught that day. Expect spirited discussions between the chef and the students on fish cookery, fishing, politics, and life. Great eating, great fun, and if you pay attention, you’ll return home with the skills to impress family and friends. A complete cookbook with all the recipes is included with your four day/five night package. Here is the complete menu and recipes from Hook It & Cook It 2018. Sitka in early June is prime time for king salmon, halibut, lingcod and rockfish. Following the fishing fun, enjoy each evening with a wonderfully delicious meal combining the catch of the day with the culinary skills of former deckhand turned wine connoisseur and foodie, Matt Kachel. His plan for the Reel Meal special? Provide the guests with delicious, uncomplicated fish dishes that you can replicate with the catch you bring home. What you learn will ensure that your experience with Angling Unlimited lasts long after you depart Sitka. You arrive home with your perfectly processed catch and the skills to prepare it that will impress friends and family. Over 25 years of happy customers, great memories & delicious fish. You and your crew are awesome! First class all the way and we really appreciate it. I’ve worked in 5-star resorts and I can recognize great service when I experience it. We will recommend your outfit to everyone. Capt. Spencer and his deckhand Aaron were top notch. Besides locating the fish (which they did) and being courteous, they went above and beyond in many ways. One being that they never showed any frustration when untangling our lines (which happened frequently) or how many times we missed or lost a fish that should have been in the box. The second, which meant a lot to me, was that they took an interest in what we wanted to fish for and how we wanted to fish. In short, they cared about making it fun and not just about the fish. The accommodations were good, clean, and the staff was friendly. The last day of having to move to another hotel was not a great experience, but in the big picture was a small detail. I have fished in Alaska for the past 6 years, with 3 different companies, and I will be coming back to this one. I will and would recommend this company to anyone, and feel confident about my recommendation, but at the end of the day it really comes down to the captain, his deckhand, and how they treat their clients. As I stated before, Capt. Spencer and Aaron were the best I have ever seen. Our trip was amazing! I could not have asked for a better experience with my dad. Capt. Ryan was great and I think by the end he got used to (and maybe found some enjoyment) my random bust out of a song. I really appreciate that he took the time to go over and see the whale that was close by when we were fishing for rock fish. It was the cherry on top to the already great trip. Thank you to all your staff. You have a great people working for you! This was the BEST fishing trip I had ever been on. That was my third trip to Alaska. From the time we were picked up at the airport until we left, we were well taken care of by your staff. I really want to thank you for putting us with Captain Bryan (Cobra) and Eric (Viking). They put us on fish and we caught them. Plus they are great guys! Thank you again for a memorable Alaskan fishing trip. We had an absolute fabulous experience at Angling Unlimited! The customer service, super-friendly staff, attention to client details, was second to none. Our host Lindsay was excellent! Our fishing Captain Spencer and deckhand Aaron were excellent! Our parents also had an equally wonderful experience. 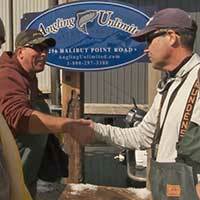 They have fished all over Alaska and said Angling Unlimited was the crème de la crème of places they have fished at. They have never experienced the superb guide/host service from the time they got off the place through helping check boxes of fish at the ticketing counter. We were all extremely pleased! We will all be back for more Sitka and Angling Unlimited! I had the best time up there. Your company is number one in my book. I will be back, just need to save up. Spencer & Aaron were great! Had a great time fishing with those two. You have a great team there. The hostess were top notch as well. 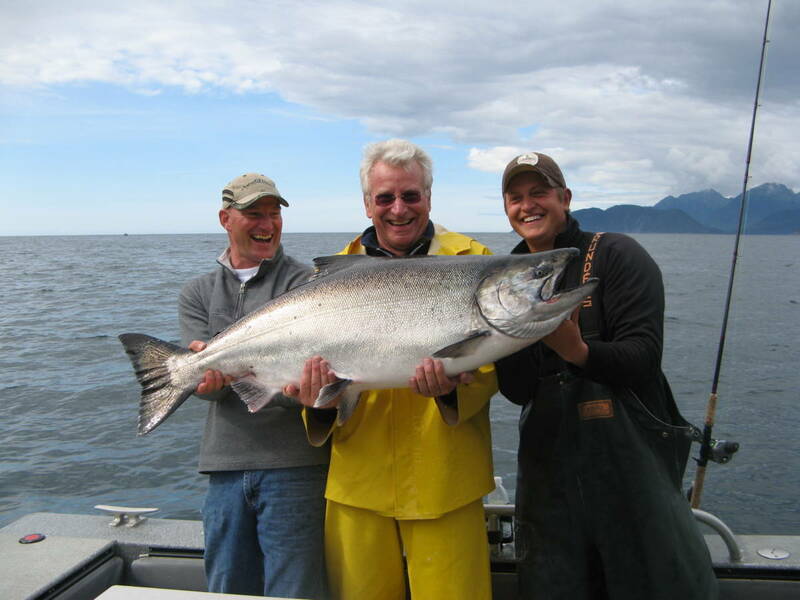 We specialize in Salmon & Halibut fishing. Over 25 years, we have learned the best places to find them and methods to catch them. Sitka provides the best catch rates (and catch size!) 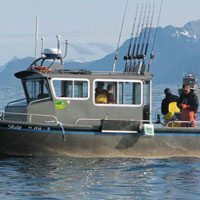 for Salmon & Halibut in Alaska, plus allows for Salmon & Halibut fishing in the same day! We custom designed our boats with Almar, picked the finest rods we could find and use state of the art electronics to help track fish. Our crew is one of the friendliest and most experienced you can find in Alaska. Happy to help anyone, from beginners to the most experienced. Lodging is included in your package. 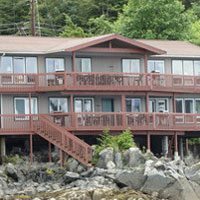 Enjoy our Waterfront Suites, Waterview Suites or we are happy to help you arrange other accommodations if you wish. Interested in a fishing trip with Angling Unlimited? You can call us anytime at: 1-800-297-3380 or fill out our inquiry form below and we’ll have someone get in touch with you to answer any questions you may have.